Easter is on the way and to celebrate this festival, Digiarty Software (winxdvd.com), the developer, is running a time-limited giveaway for WinX DVD Ripper Platinum. It’s one of the best DVD ripper that helps you rip DVD/DVD ISO to a wide range of media formats, such as AVI, MP4, H.264, WMV, MOV, MP3, etc. for further use or playback on iPhone, iPad, Android devices on the go. Regularly, WinX DVD Ripper Platinum for 1 user license is 59.95 USD, but now users can get a genuine license key at no cost before April 4th, 2016. How to get this freebie? Hit “Get Giveaway Version” and download the .zip file directly. The .zip file includes license key and set up file. Enter your email to win a full license of WinX DVD Ripper Platinum. 10 winners will be selected per day and the full license allows for free lifetime upgrade. Speaking of input formats, you can rip the content DVD disc, ISO image file and DVD folder using WinX DVD Ripper Platinum. With built-in over 350 output profiles, it allows you to rip DVD to digital files accepted by your media player or portable devices, say, rip DVD to MP4, AVI, H.264, WMV, MOV, MP3 or rip DVD to iPhone, iPad, Apple TV, Android (Nexus, Samsung, HTC, Kindle Fire), WP, Sony, etc. WinX DVD Ripper Platinum has a 3-step guide on its main interface for beginners. It’s a basic mode but quite easy to learn. You can do a DVD conversion with just three steps: load DVD –> choose output format –> start conversion. This DVD ripping software is also equipped with flexible customizing options. If you have a desire to tweak the output size or quality, you can easily adjust video codec, resolution, aspect ratio, audio codec, sample rate, etc. to balance output file. As is known, most DVDs are copy protected. To rip protected DVD, a DVD ripper that can handle different DVD protections is a must. WinX DVD Ripper Platinum is capable of bypassing all known DVD protections, such as CSS, RCE, region code, Sony ArccOS, Disney’s, etc. Better still, this DVD ripper can detect the correct DVD title for DVD backup, so you won’t have to worry about not being able to rip copy protected DVDs. Please note that WinX DVD Ripper Platinum is a Windows-based program. It is compatible with Windows 2000/2003/XP/Vista/7/8/8.1/Windows 10 (32 & 64 bit). 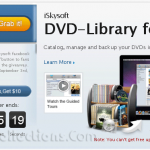 Want to rip DVD on Mac? you can try WinX DVD Ripper for Mac. It is Mac edition of WinX DVD Ripper Platinum and will get all job done as well on your Mac desktop. Related to "Review & Giveaway: Get Free License of WinX DVD Ripper Platinum Full Version"